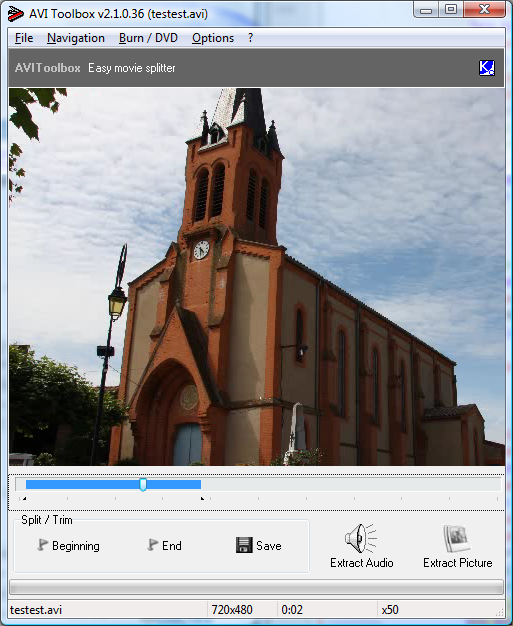 AVIToolbox is a user-friendly toolbox for common video files operations such as video splitting, audio extraction, picture capture and much more. Too much OpenSource/FreeWare around now for ANY basic ShareWare. 5* for having a go... But Sorry, In reality only 1* Cozza the Os/Fw Competition.